The Ramon Award is a promiment leadership cultivation programme for senior-year high-schoolers, co-sponsored by the Israeli Ministry of Education, the Ministry of Science and the Ramon Foundation. Every year, out of some 300 candidates, about 15 students starting their senior year are selected to take part in the programme, which aims to empower its participants as the future generation of social leaders in Israel. The participants are chosen on the basis of their academic performance, their leadership skills, and their outstanding contribution to their communities and to society at large. During the year, the participants meet thought leaders in the Israeli public sphere such as government ministers, journalists, renowned experts in various fields, and representatives of different sectors within society. Throughout the year, the future leaders are supported by mentors from the Ramon Foundation who include some major figures in the Israeli social and industrial sectors. Over the 2017/18 school year, the participants included a couple of students from the Israel Sci-Tech Network: Yaniv Aziz, a senior in Sci-Tech Ebin, Ramat-Gan, chairperson of the municipal and regional student councils, and an alumnus of the Bronfman Fellowships programme; and Itamar Eliovich from Sci-Tech Binyamina, founder of the UP Project aiming to provide youth with tools for coping with personal crises. For the upcoming academic year, the prestigious programme took in, for the first time in its history, two students from the same school: Noa Taganya and Alon Penzel, who are both about to start their senior year in Sci-Tech Kiryat-Bialik High School. Well done! 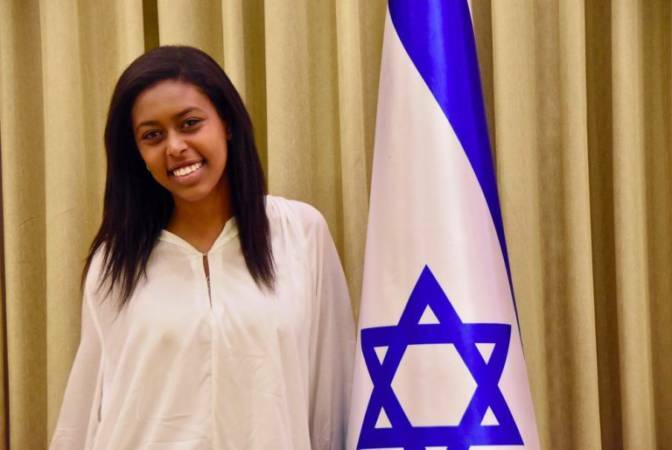 Noa takes an active part in an initiative striving to connect the older generation who made Aliyah from Ethiopia with the younger generation born in Israel, in order to foster stronger social bonds. She also does voluntary work with holocaust survivors. For the last International Women’s Day she was invited, as a representative of the future generation of Israeli women, to take part in a special event at the residence of the Israeli President, Mr. Reuven (Ruvi) Rivlin. 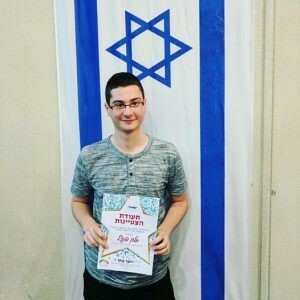 Alon is involved in the Eye2Israel Project, and last year he received a certificate of excellence from Ortov, recognizing his activity in this project.